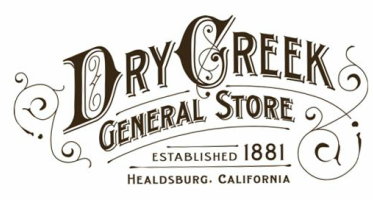 ​​Established in 1881, Dry Creek General Store is a staple of the Wine Country. 1849 - Dry Creek Valley’s beautiful and fertile landscape began attracting pioneers soon after the California Gold Rush of 1849. Early farming consisted primarily of wheat, hops and sheep. 1855 - Ten American families were settled in the valley. 1870 - French immigrant Georges Bloch had established his first vineyard in Dry Creek Valley and soon co-founded the first winery. Fifteen years later the region had 54 separate vineyards totaling 883 acres, with well over half the acreage planted in Zinfandel. 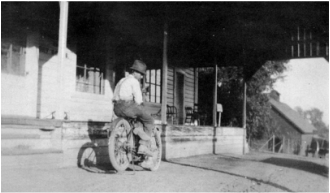 1881 - R. H. Bagley built the store on Dry Creek Road at Lambert Bridge. 30,000 feet of lumber was used to construct a store, adjoined dwelling, and barn. When construction was completed a barn dance was held to celebrate. 1900’s - After a market slow down, the early 1900’s brought renewed vineyard and winery development, along with a strong Italian influence. As phylloxera spread and the threat of Prohibition loomed, several growers took the risk and replanted Zinfandel on resistant St. George rootstock. Many of those vineyards still exist! 1917 - Lloyd S. Goodyear purchases the store. 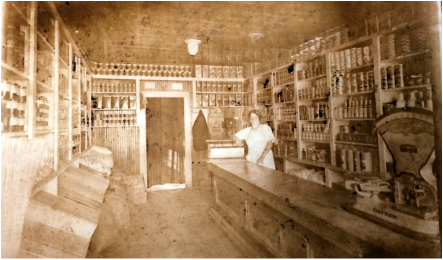 Joined by his bride, Lydia Stack, of Santa Rosa, and his brother Robert L. Goodyear, Lloyd operated the store where they sold hay, grain, flour, cigars, hardware and other sundries to the valley settlers. 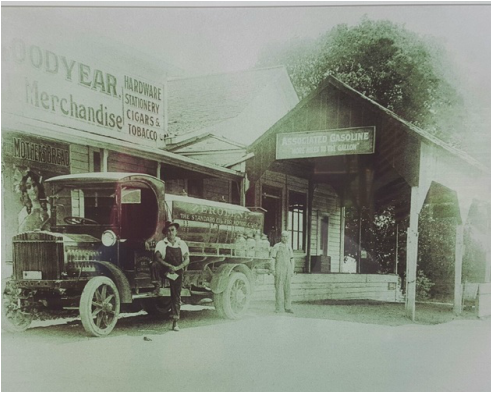 During Goodyear’s ownership there are tales of Indian hold-ups, runaway horses, moving pictures being shown, fires, and prune farmer meetings held on the premises. 1919 - 1.5 million gallons of wine were being produced in the valley. Prohibition closed the wineries in 1920, but growers who didn’t pull their vineyards eventually found a market among home winemakers. 1933 - At the end of the Prohibition, only four wineries remained in operation, and three are still in business today: Healdsburg Wine Company (now Wilson Winery), Canata Winery (now Pedroncelli) and Frei Brothers Winery. Vineyards endured, but orchard crops such as prunes and pears became the valleys mainstays. 1940’s - With World War II upon America, wine growing in Dry Creek entered a quiet time. It wouldn’t be until the late 1950’s grape planting would return. 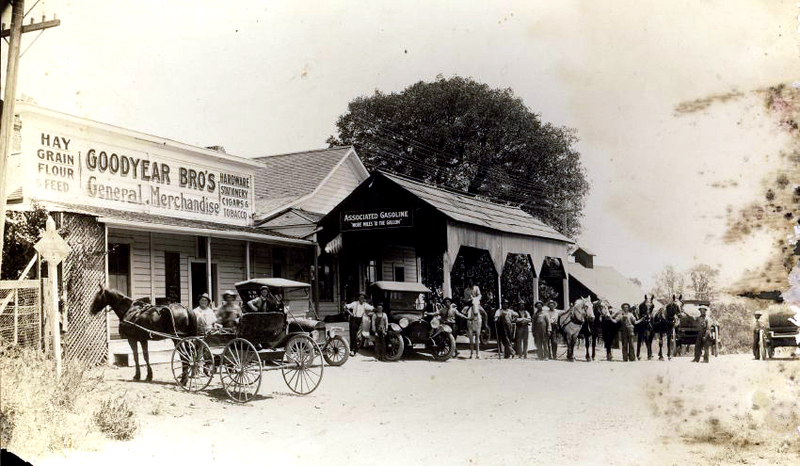 1944 - Lloyd Goodyear sells the Dry Creek Store (aka. Goodyear Store) and 3⁄4 acres adjoining it to J.C.H. Garnard. Mr. Garnard leases the store to J. Gozzareno and E.F. Fulwider (brothers). During this time gasoline is added to the services offered. Lloyd and Lydia Goodyear move to Alexander Valley to run the Jimtown Store. 1947 - Jesse B. Harman and James S. Paulsen sell their interest in Dry Creek Store to Fred Stefani of Healdsburg. 1949 - Mr. and Mrs. Fred Stefani sell the Dry Creek Store to Mr. and Mrs. Ed Zanzi and Stefano Micheletti, all of Healdsburg. 1950 - Mr. and Mrs. Joseph Cattalini purchase the Dry Creek Store and bar. During the Cattalini’s ownership patrons were provided the opportunity to register to vote on the premises, buy dog licenses and of course purchase all their groceries. 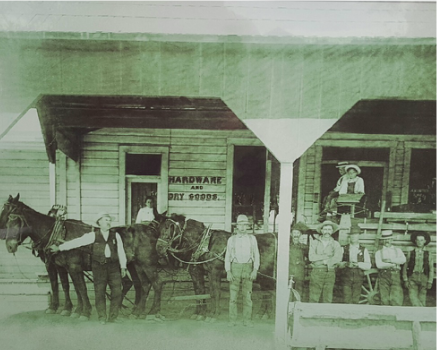 1964-2001 - The Dry Creek Store enjoys the ownership of Hector Garnero, The McKean Family, Patrick Rinn with Patricia Opatz, and Susie Durler to name a few. All who have spent time here hope it will be preserved for generations to come. 1970’s - Revival of grape production began in the early 1970’s. Growth in Sonoma County wine grape production from 1969 through 1978 more than doubles. 2009 - Approximately 9,000 acres of vineyards are planted in the Dry Creek Valley. Designated as Historic Landmark #44 in 1979.